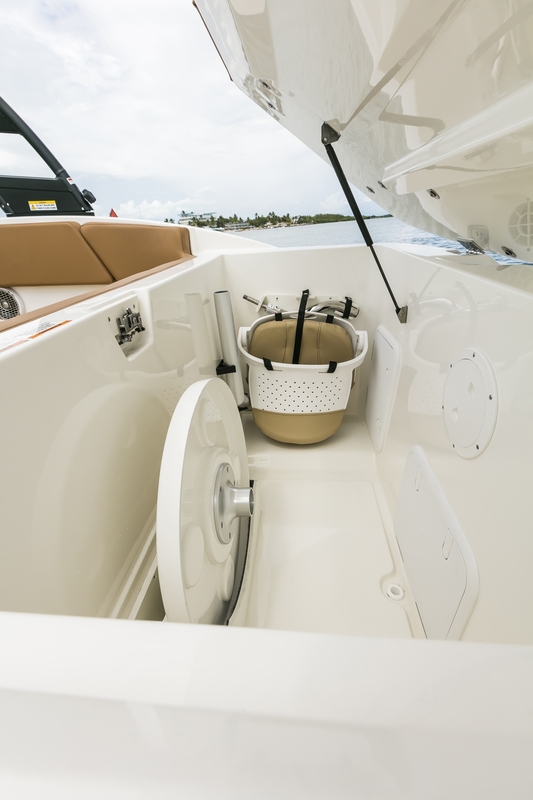 The SPX 230 OB delivers even more of what boaters love about the popular SPX series: Effortless operation, head-turning style, tons of seating and a remarkable amount of space, all in a nimble, sporty package, and all at an accessible price point. 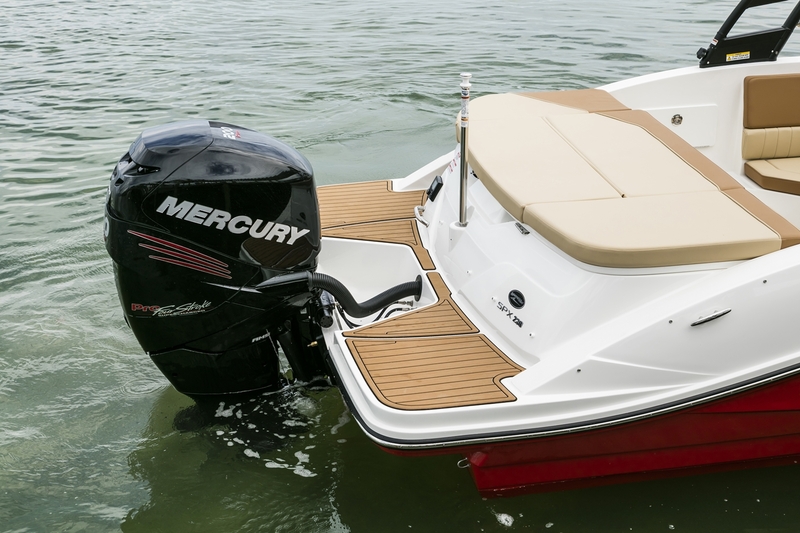 Choose from convenient options packages for fishing and water sports, and enjoy the freedom and versatility of Mercury® outboard power. 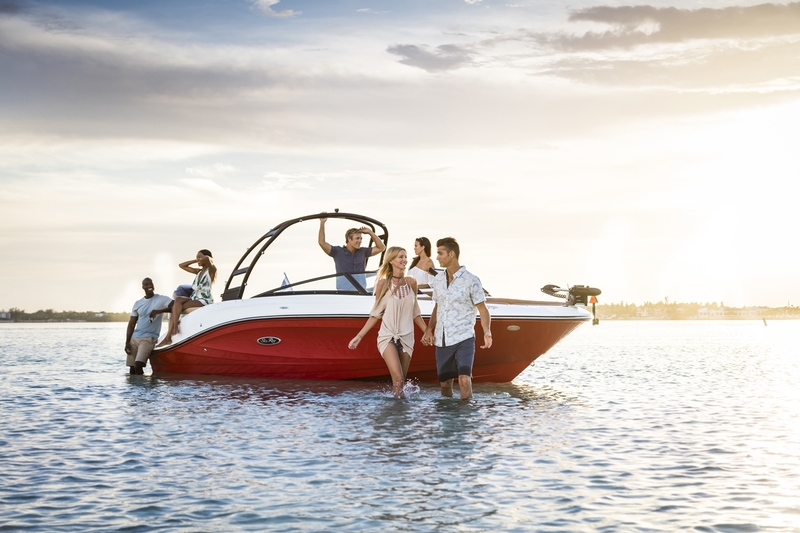 Invite your whole crew: There's plenty of fun to go around.Edgy styling and smart options packages define the all-new, all-accessible SPX sport boats. 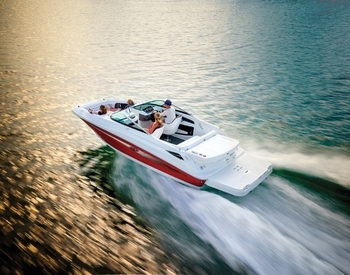 Get used to the stares, because the SLX 230 is sleek, powerful, cutting-edge and completely crush-worthy. 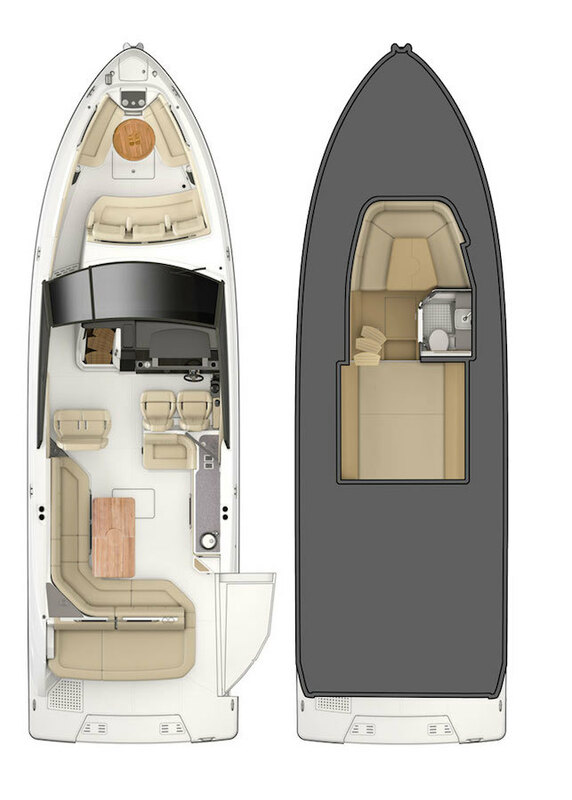 You and your guests won't mind, settled into the perfectly accommodating bow or expansive transom lounge. 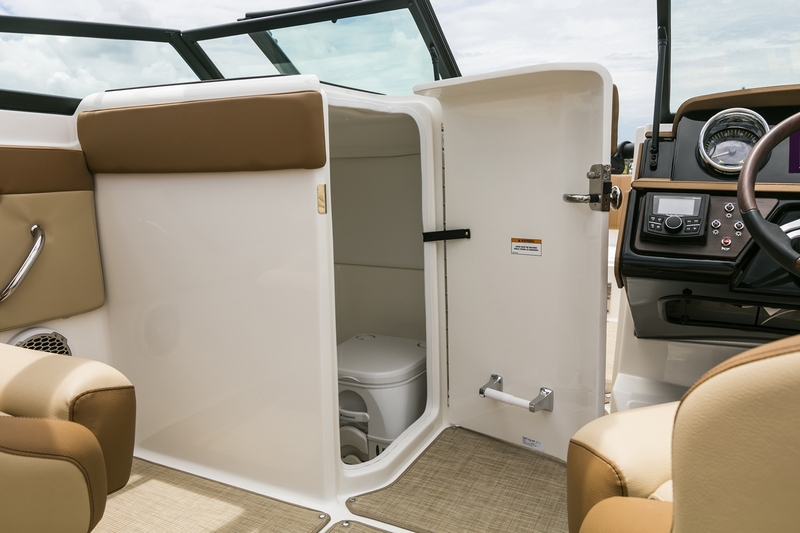 And it's not like you won't share the fun. 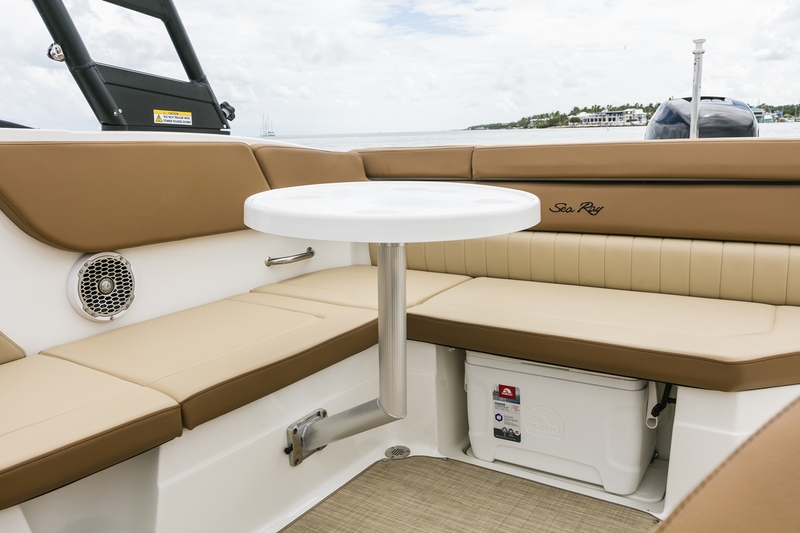 With capacity for 13, the SLX 230 is the consummate host's perfect party platform. 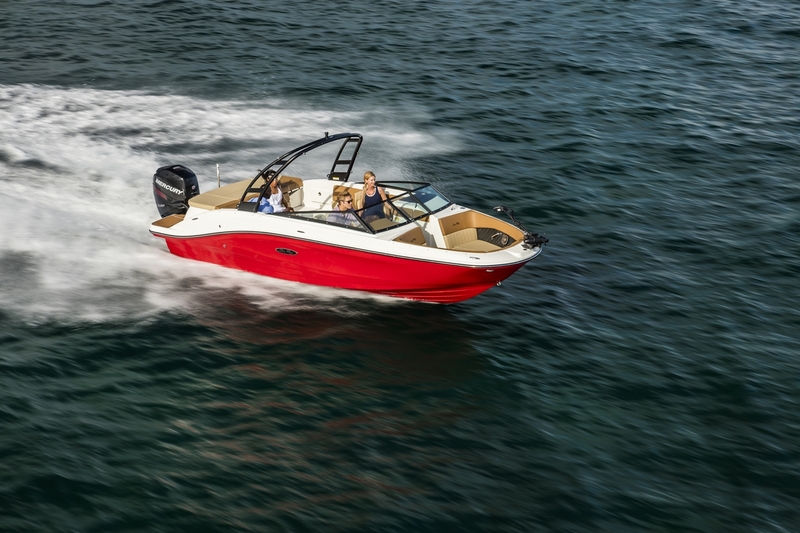 When ready to shift from chilling to running, goose the MerCruiser® power, let the optional Dynamic Running Surface™ perfect your attitude and encourage wakeboarders to throw tantrums. 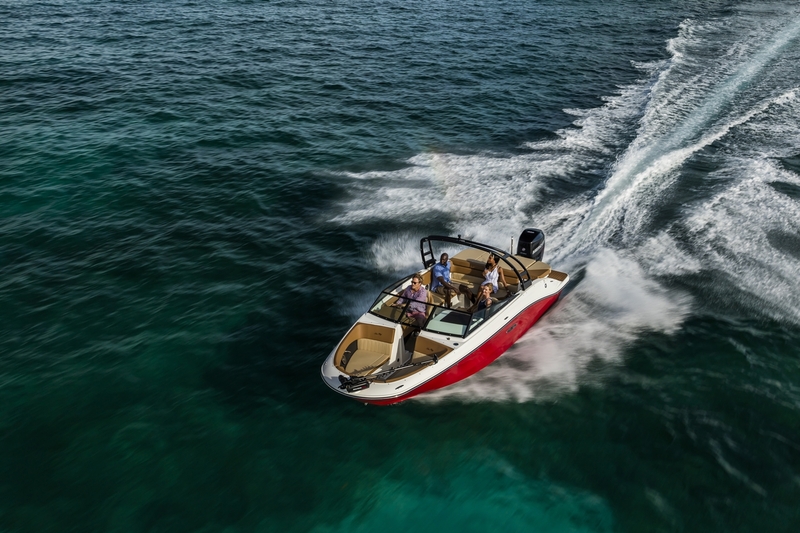 A perfectly composed boat can pump up the adrenaline, too.Edgy styling and smart options packages define the all-new, all-accessible SPX sport boats. Funny how we can work ourselves up chasing a moment of relaxation. 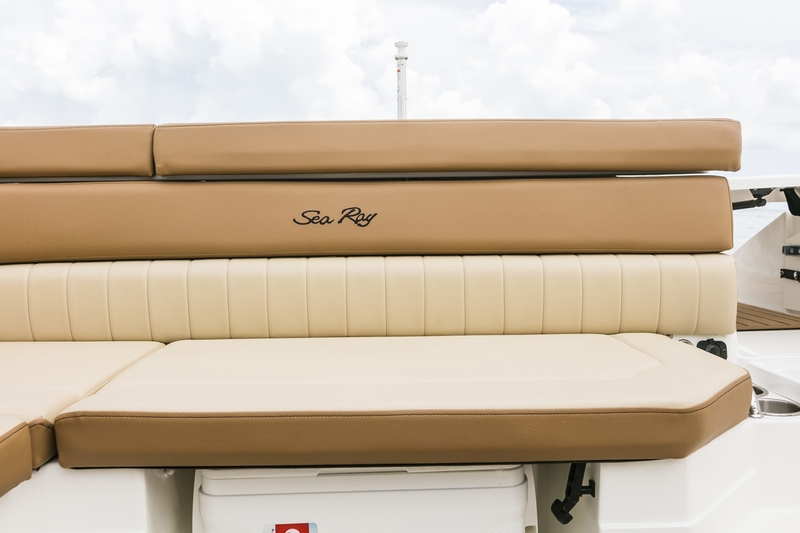 But kicking back doesn't have to be hard. 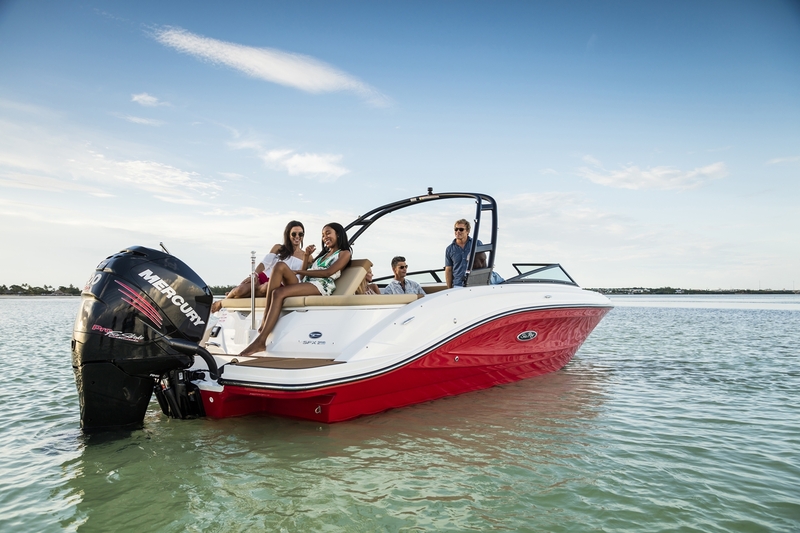 All it really takes is a couple calls, a few friends, and the Sundancer 280. 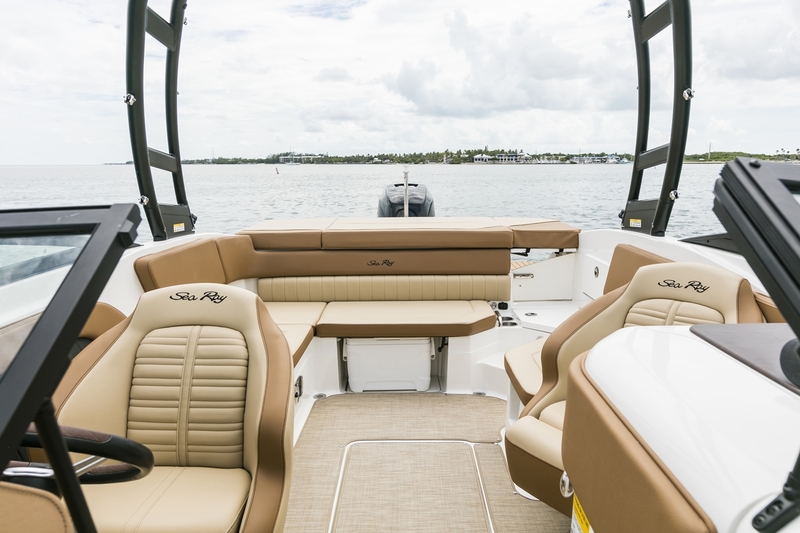 Experience pure peace on the sport cruiser equipped for relaxation. 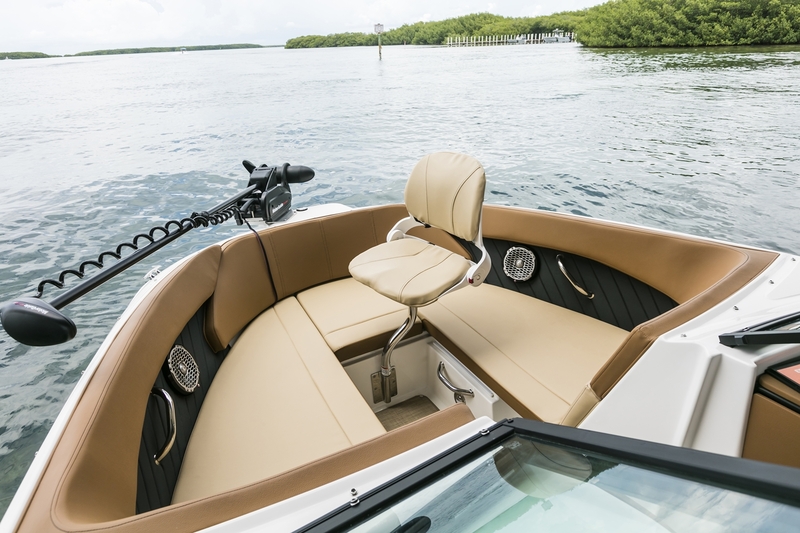 The L-shaped loungers, plush seats and comfortable berth transition social time to quiet time, so no matter where you are on the water, you're in the right place and the right mindset.Edgy styling and smart options packages define the all-new, all-accessible SPX sport boats. 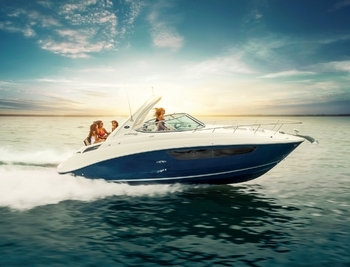 Introducing the Sundancer 350 Coupe, an exciting new addition to Sea Ray's most iconic series. 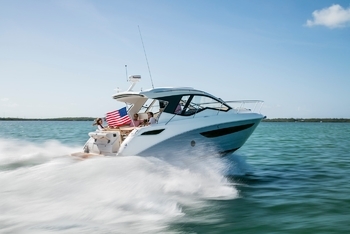 With a sleek hardtop and enhanced coupe foredeck seating/lounging zone, the Sundancer 350 Coupe is a brilliant entertaining platform and an inviting place to spend entire days on the water. 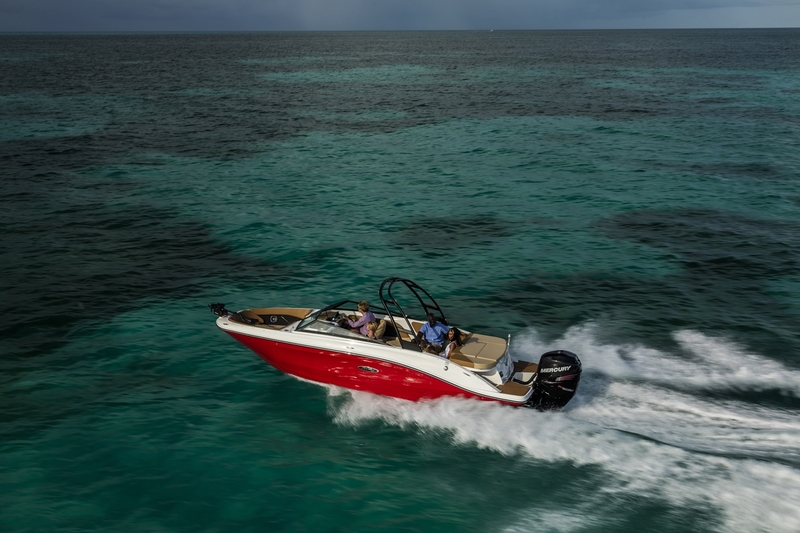 Premium amenities, state-of-the-art technology and unrivaled performance - with your choice of sterndrive or inboard propulsion - combine to deliver a fully enjoyable cruising experience. 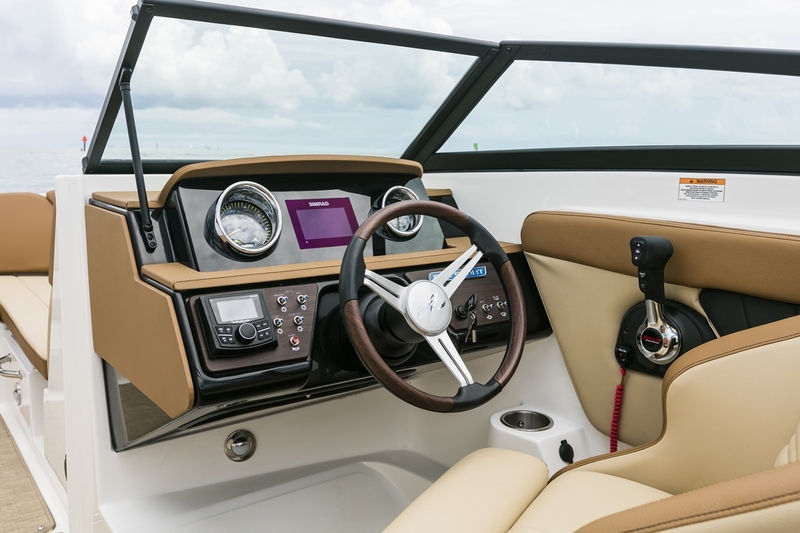 Options for customization abound, meaning you can make the Coupe totally your own. 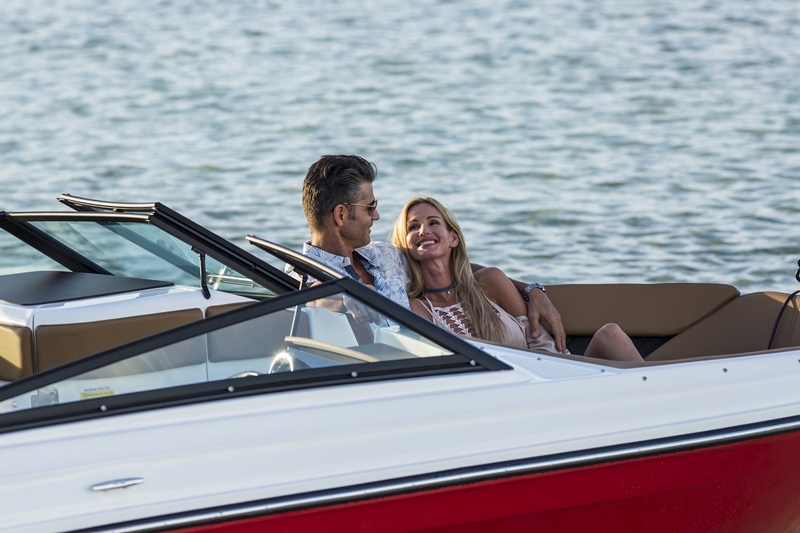 And with a sleek, stylish aesthetic that's both gorgeously modern and unmistakably Sea Ray, the Sundancer 350 Coupe is a boat you'll be proud to own and proud to share.Edgy styling and smart options packages define the all-new, all-accessible SPX sport boats. 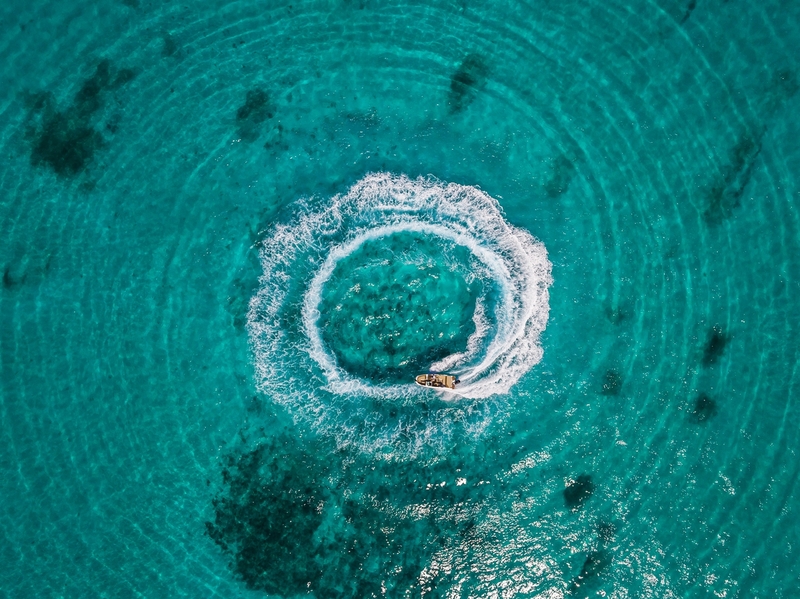 It starts with a vision. 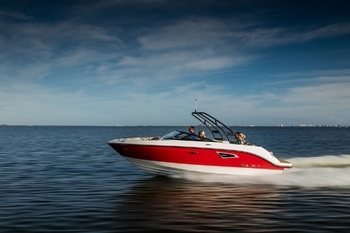 On the SDX 220 that vision is a destination. 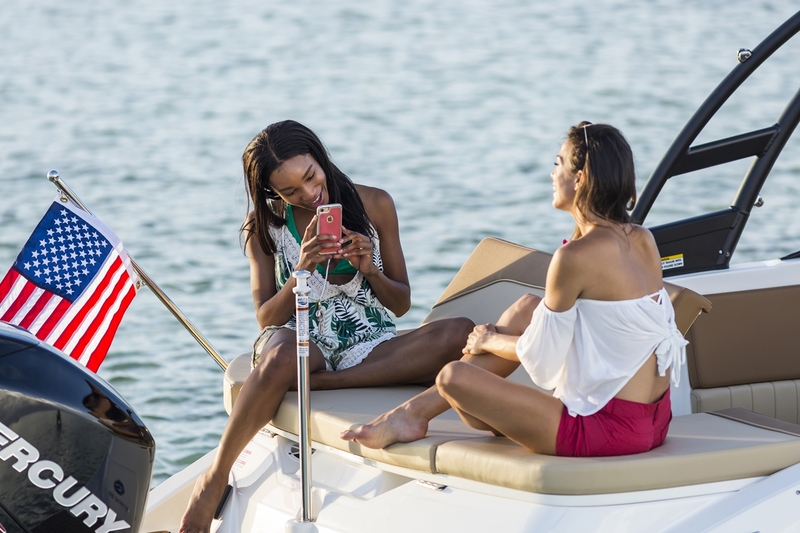 You see the 220 takes people to places they never expected to go in a deck boat with 12 of their closest friends and relatives. 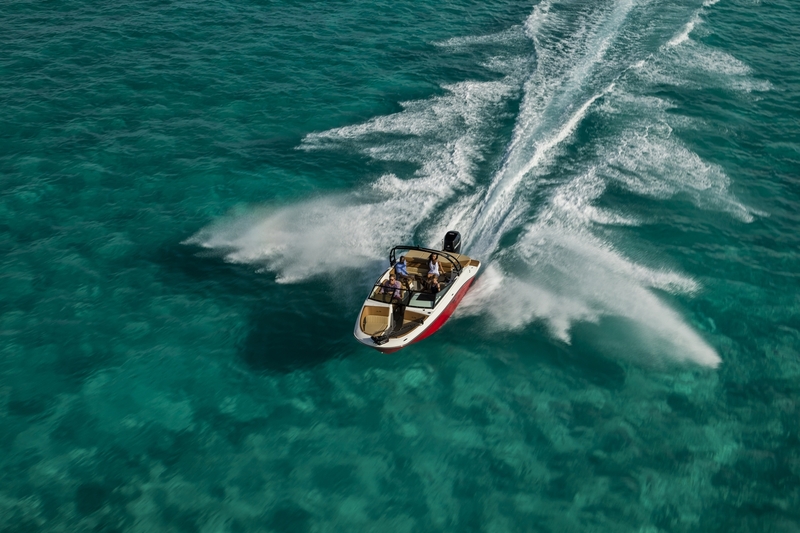 This place pulls smiles from the most demanding watersportsters. 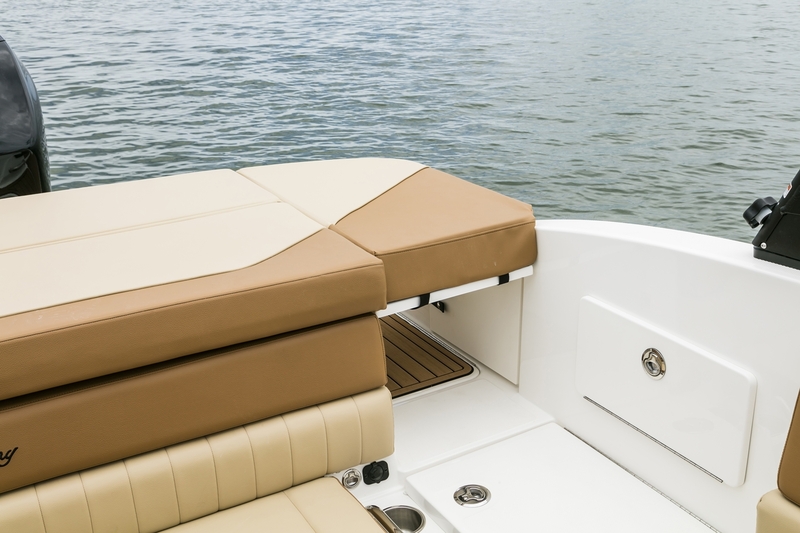 It wipes away the stress of harried parents. 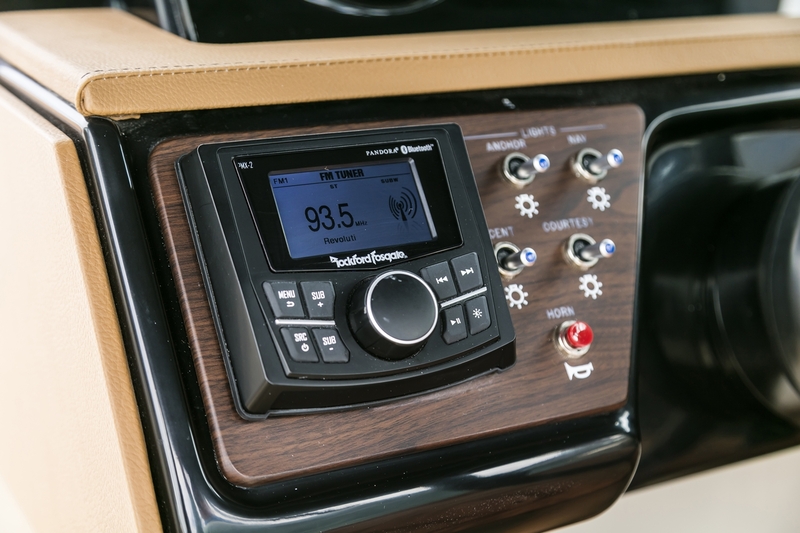 It gives teens a launchpad for long meandering conversations with their dads and siblings. It wraps itself in the beauty of the loveliest afternoons. 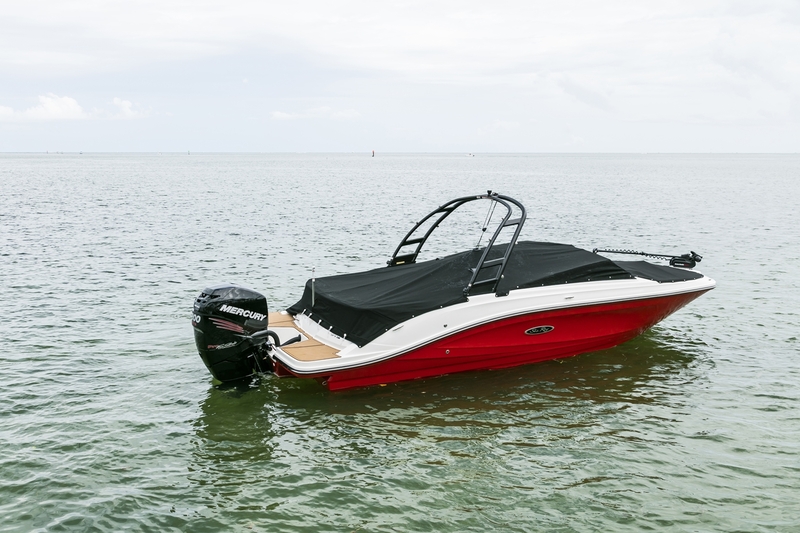 Now that's a vision worth having.Edgy styling and smart options packages define the all-new, all-accessible SPX sport boats.